I’ve seen much buzz lately regarding breadcrumb shapes in Visio. Evidently a lot of folks are using Visio for IA and wireframes. 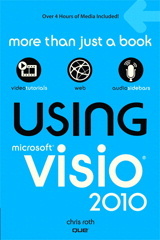 Yup, you can lay-out and design web-sites with good ol’ Visio! So I decided to create a Visio Breadcrumbs Shape to help web-site designers more quickly finish their prototypes. This shape incorporates some smart-behavior that should save you a lot of time! Visio’s built-in Save As Web feature has some pretty neat capabilities. You can search for text, pan and zoom the always-smooth vector output, view Shape Data fields by Ctrl+clicking on shapes, and tab between Visio pages in one browser page. But people want more. 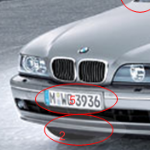 The features seem to always a-l-m-o-s-t do what they need. 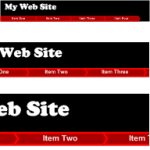 This article will point you in the direction to do just that: get the Save As Web feature to do what you want it to do! 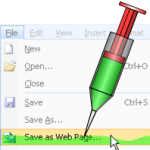 A recent Visio newsgroup post asked about customizing the output files from Visio’s Save As Web feature. This rang a bell in the ol’ noggin, and I went searching for an old demo that exported a customized html page, with pop-up menus that displayed Custom Property (Shape Data) information. There has been a lot of buzz in the newsgroups about Save As Web hyperlinks not functioning correctly when exporting from Visio 2003 and viewing in Internet Explorer 7. Evidently the problem is only for Visio 2003 and IE7, and when the export uses VML as it’s output.